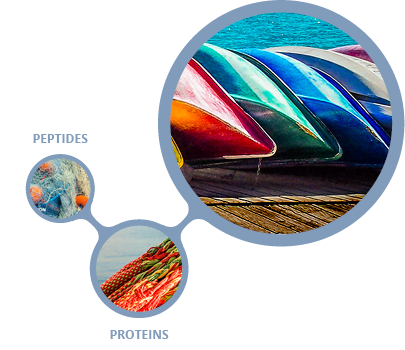 GENEPEP offers synthesis of custom Peptide Libraries that can contain between small sets of 50-100 compounds up to 1,000’s of specifically designed structures. Peptide lengths range from 3 to 15 amino acids. Peptides are synthesized on GENEPEP Synthetic Platform with final product quantities between 3 to 20mg of purified compounds, sufficient for multiple screening works for multiple targets. Peptides are delivered in lyophilized form as TFA-salts in 2D barcoded microtubes which allows for complete traceability. Our libraries are delivered in 96-microtube plates (8 x 12 format). Each tube is permanently marked with a globally unique 2D barcode, ensuring that tubes can be identified when moved, shipped or even accidentally dropped. Each library is provided with an excel file containing sequences, molecular weights, purity levels, and mass spectrometry analyses of each peptide. Each tube contains 1-20 mg of purified peptide in its lyophilized form.